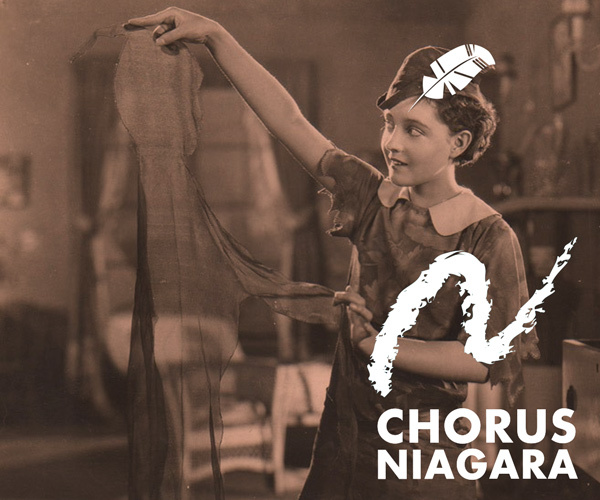 Chorus Niagara’s silent cinema is back with the enchanting lavish film fantasy Peter Pan, accompanied by a ‘live choral soundtrack’ curated by Artistic Director Robert Cooper. This first-ever film version of J.M.Barrie’s magical boy who refuses to grow up, with cinematic effects of mermaids, mystical ships, secret hideaways and the ever-popular flying sequences still delights today. Chorus Niagara, Ted Moroney – organist, Krista Rhodes – pianist. We are Niagara’s premier auditioned 100-voice symphonic ensemble since 1963. Chorus Niagara is led by Artistic Director Robert Cooper, C.M., one of Canada’s most influential and decorated choral conductors. Our singers come from all walks of life and represent all ages from 18-80. We are THE POWER OF 100!